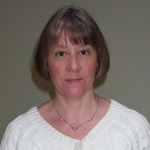 Janet McNaughton, from Canada, has a Doctorate degree in folklore. Learn more at Janet McNaughton’s website. I went through a phase a few years ago where I sought out every retelling of the Tam Lin story that I could get my hands on. So the title An Earthly Knight was instantly familiar to me, and I knew I needed to read this book. I was especially intrigued by the author's choice to return the story to its original setting, medieval Scotland. Unfortunately, the historical aspect falls a little flat. McNaughton has a tendency to get a bit infodump-y. I wasn't familiar with the politics of that time and place, and so I appreciated being brought up to speed, but there has to have been a more deft way of doing it than having one character expounding history to another character who already knew that history. Blake Raintree — (2005-2006) Publisher: In the year 2368, humanity struggles to recuperate from a technocaust that has left a generation of orphans in its wake. Strict government regulations convince people that technology is dangerous; confusion and fear rule the earth. Blay Raytee is a government work-camp orphan. Her future seems as bleak as that of the world around her. But when she is chosen for a special mission by a guardian of the environment named Marrella, Blay begins to discover that all may not be as it seems. The secrets she uncovers could hold the key both to the healing of the world and to her own past. What she learns may just empower her to join those who struggle to restore democracy — and to discover at last who she really is. 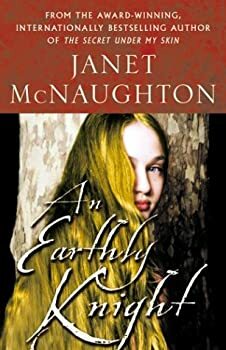 Master storyteller Janet McNaughton vividly imagines an all-too-believable future where one child’s brave search for the truth could restore a broken world. Brave Jack and the Unicorn — (2005) Ages 9-12. Publisher: Neither handsome nor clever, Jack — the youngest of three brothers — causes his widowed mother much concern. The family is convinced he is nothing but a fool. When his brothers go off to seek their fortune and don’t return, Jack is sent to find them. Along the way he performs good deeds for helpless creatures, who repay his kindness in magical ways. Hearing of an evil magician who controls the life of the princess, Jack poses as a suitor and faces three tests — but can he find the elusive unicorn and save the princess from her fate? Acclaimed Newfoundland author Janet McNaughton tells a classic tale of good and evil, accompanied by Susan Tooke’s illuminating paintings, rich with influences from the Middle Ages, Celtic symbolism, and Newfoundland’s breathtaking coastal landscape.